The short version of this review is, simply, go see Justice League. Seriously, go see it. It’s worth it, I promise. Nothing about Justice League should have worked. I’m one of the many who, loudly, derided Batman v. Superman for being a cinematic disaster. I already had a rotten taste after Man of Steel. I pretty much only saw BvS so that I could comment on how bad it was, sans any qualifications. As a matter of fact, I disliked BvS so much that I launched a single episode podcast for the express purpose of rounding up some friends so we could all rant about how much we disliked that movie. To date, the only Zack Snyder movie I’ve enjoyed was 300. By now, we’re all aware of the criticisms of Snyder’s vision of the DC Extended Universe. I assume you’re also aware of the tragedy that befell Snyder’s family, his need to step down from the film, Joss Whedon’s role as his replacement, and the multitude of reshoots that took place. From the start, the Justice League was beset with problems. Then came Wonder Woman; everything that was wrong with the previous DCEU films seemed to be gone. Like many, I found myself wishing that the team who made Wonder Woman could make all the upcoming DC films. That film had a cohesive narrative, it wasn’t mired in grayscale, and, most of all, it had HOPE. Personally, I rank it right behind the Superman and Superman II as one of the greatest superhero films ever made. The movie made crazy amounts of money, and rumors spread that WB had heard the fans loud and clear (or, slightly muffled, but intelligible). Slowly, I began to wonder if Justice League could be saved, could the ship be righted. I became cautiously optimistic. After last night’s screening, I feel safe saying that my optimism was rewarded. In spades. Justice League is a very fun film, and, at the end, I found myself rooting, sometimes loudly, for our heroes (as opposed to anxiously awaiting the credits). The film is far from perfect. The pacing suffers a bit, which I assume is due to the reshoots. There are times when things seem to plod along, and others where things are moving so quickly it’s difficult to get a handle on everything that is happening. There are also a few moments when it looks like they had an actor’s face digitally altered in some way. I assume both the pacing and strange facial CGI are a byproduct of the new scenes and dialogue that were stitched in later. Neither were inherently bad, but they were off-putting at times. I’m generally not a fan of a lot of the visual effects in the DC films. The fight scenes often feel like video game footage, and lack any sense of weight (in the physical sense). Some of the character designs, notably Cyborg, weren’t very convincing, and a lot of the world building felt artificial, as opposed to organic (or, as organic as alien technology can be made to feel). By comparison, I didn’t have any problems watching the Hulk during Thor: Ragnarok, and Sakaar felt like a real place. Iron Man’s armor always seems real, and I believe some of it is a practical costume, but, sadly, Cyborg didn’t get the same treatment. All that being said, they’re minor quibbles. Overall, the film benefits from a cohesive narrative, and the cast is spectacular. 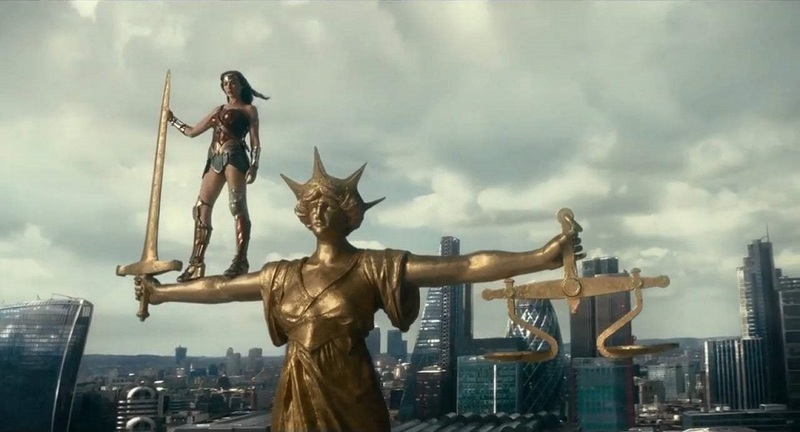 Many of the stronger elements from Wonder Woman were applied to this film, regardless of whether they were done after the fact or not. A hallmark of all the DC films has been the actors’ level of sincerity. For instance, I truly believe that Henry Cavill wanted to deliver a great performance as Superman, and I truly wanted to like him in Man of Steel and Batman v Superman. Most of the actors are doing their level best to embody their character and deliver a strong performance, even if the story or direction isn’t working in their favor. Seriously, Aquaman might be my new favorite DC hero right now. You can clearly see Joss Whedon’s fingerprints throughout the editing process, and Geoff Johns’ influence is obvious as well. I think, perhaps, Snyder is a filmmaker who works better within specific constraints. Much like George Lucas, he’s not at his best when there’s no one around to say “No!” Snyder’s vision is very much alive, but it’s been tempered. There’s no mistaking Justice League for The Avengers, Whedon or not, they remain in very different worlds. But hope has started to come back, colors are less muted, and humor is plentiful. It’s nice to see heroes smile once in a while, even Batman. There has been a definite tonal shift in the last two DC movies. Whether that’s the way it had always been envisioned, or this is a course correction, is irrelevant so long as they continue down this path. 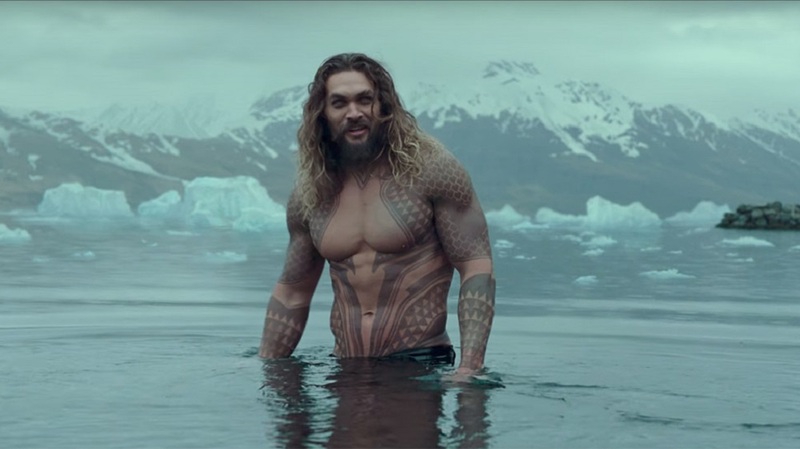 I have now gone from dreading each film announcement to being extremely excited to see a movie about a man who talks to fish, and that’s pretty damn rad. The story behind the Justice League movie is one of turmoil and turnover. Zack Snyder has been the cinematic voice for the DC film universe (DCU) and, if you listen to enough critics and fans, the weight holding down the franchise. 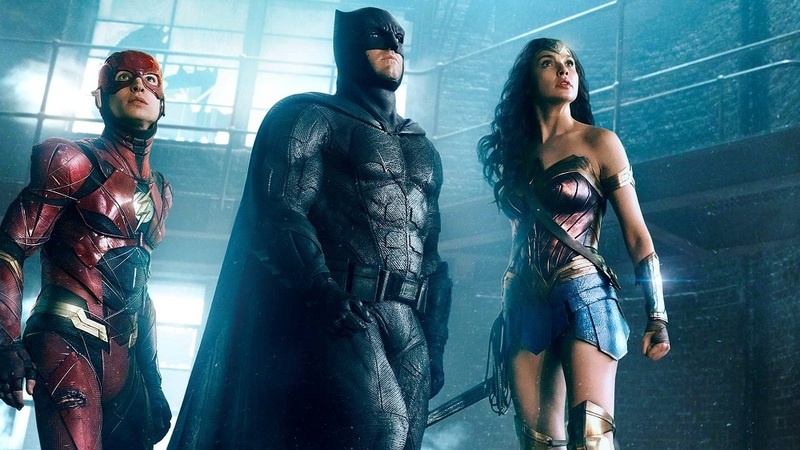 Justice League began filming in the spring of 2016, which means they had a considerable lead time before release. Either they went into production with a script they were unhappy with or they learned it. A year later, in the spring of 2017, Snyder bowed out of his directorial duties to spend more time with his family in the aftermath of his daughter’s suicide. Enter Joss Whedon, the wunderkind behind Marvel’s record-breaking Avengers. 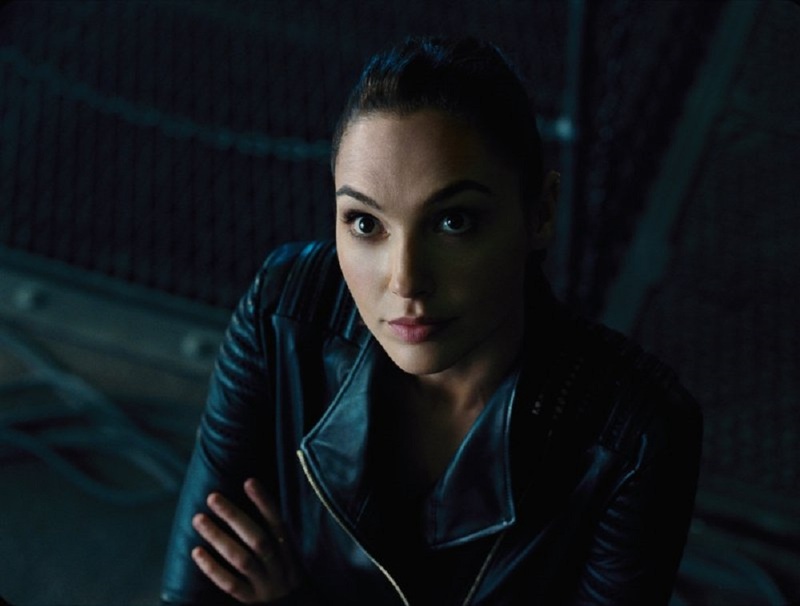 The studio was unhappy with Snyder’s rough-cut, deeming the footage “useable,” and tapped Whedon to make drastic reshoots. He rewrote the film enough to earn a writing credit from the WGA. Complicating the already pricey reshoots was star Henry Cavill’s mustache, a holdover from the filming of Mission: Impossible 6. He wasn’t permitted to shave his ‘stach, and so Warner Bros. was forced to pay likely millions… to digitally erase Cavill’s facial hair (DCU is 0-2 when it comes to mustaches this year). The final product is being met with great fanfare, hope, and curiosity. If anybody could save this project it’s Whedon, right? Well, Justice League could have been renamed Super Hero Fatigue: The Movie. Aggressively bland, lazy, and unmemorable, I was genuinely left questioning whether Justice League was somehow worse because it wasn’t worse. It’s not the aggravating stew that was Batman v Superman or Suicide Squad, but those weren’t exactly difficult hurdles to clear. To put it in another colorful analogy: while it may not be a flaming dumpster fire, it’s just a dumpster, something you wouldn’t give any mind to because, hey, it’s just a normal dumpster, and why would you even want to spend time looking at that anyway? 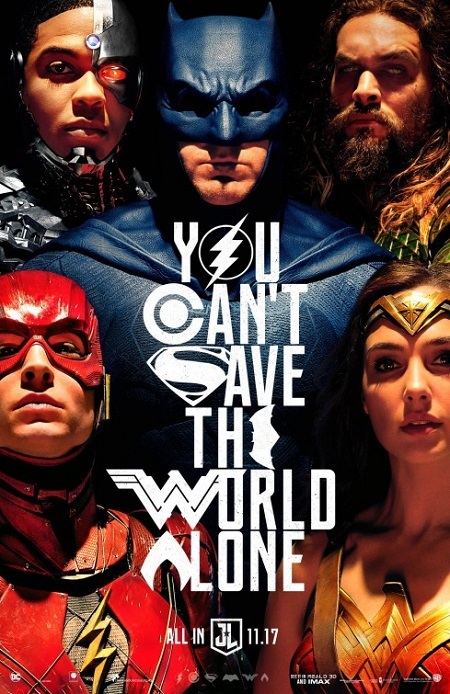 That’s Justice League for you, a DCU super hero film that’s better by default and still disappointing to the point that you wish it would be mercy killed to spare us a prolonged death rattle. This movie is ground down to the raw pulp of a super hero movie. It lacks personality. Stop me if you’ve heard this one before from a modern super hero film. An ensemble of poorly developed characters must band together to stop a dumb villain from world annihilation with a giant energy portal in the sky. There have been now five DCU films in this sputtering cinematic universe and three movies fit that formulaic description. Even the 2015 Fantastic Four remake followed this. The draw of this film is its mythical heroes, yet they are so lazily developed that we rarely feel any sense of awe or reverence with them. The cast chemistry is relatively strong, and the actors have been well chosen, but let’s go person-by-person in this league to determine just how poorly the story serves them. 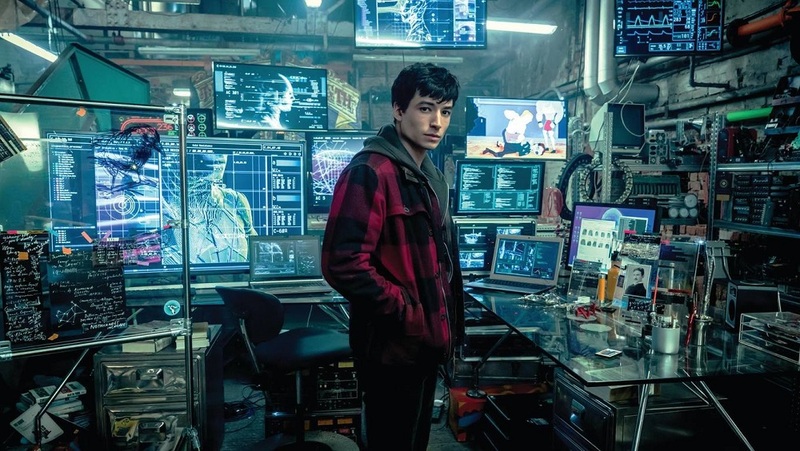 The Flash/Barry Allen is the best part of the film by default (a familiar term in this review). Miller’s (Perks of Being a Wallflower) extra-jubilant performance feels like a course correction from the criticism of how unflinchingly gloomy BvS was. He’s the stars-in-his-eyes rookie who is also a fanboy first, geeking out about getting to work with legends. It’s not just that the fanboy-as-hero angle was already tackled better by Marvel in Tom Holland’s newest edition of Spider-Man, it’s also that the film doesn’t know when to stop. Barry Allen has a quip for every occasion. While some belie his insecurity and nervousness about being promoted to the front lines of hero work, several are forced. The coolest thing he can do is run so fast time slows down, yet we’ve already seen this displayed better and with more witty panache in the recent X-Men films with Quicksilver. Flash is the only character with anything resembling an arc, and this amounts to little more than not being as terrible at fighting and getting a job. He makes his dad proud… by getting a job, and this is sadly the best example of a character arc in Justice League. There are other moments that speak to the troubles of simplicity leading to laziness. The opening sequence with Wonder Woman involves a group of criminals taking hostages in a bank. Oh, these are sophisticated bank robbers you might guess. No, these are, in their own outlandish words, “reactionary terrorists,” and they’re here to set off a bomb. Why did you have to enter the bank, let alone take hostages, and call attention to yourselves then? Would a bevy of car bombs not get the job done? These guys are on screen just to be dispatched by Wonder Woman, but at least put some effort into them. Here’s another example of the effects of oversimplification. Steppenwolf’s base of operations is an Eastern European/Russian bloc city in the wake of an abandoned nuclear facility. We see one desperate family fret over the flying Steppenwolf hench-demons and barricade themselves in their home. We then keep cutting back to them again and again. Will they have a greater importance? Is the final mother box to be found underneath their home? No, they are merely an on-the-ground perspective and offer no insights, complications, or interest. We just keep checking in with them as if they are the most irrelevant war correspondent. When the climactic battle ensues, they’re the sole lives we see in danger from the epic fighting. The villain is also a severe liability, as Steppenwolf feels plucked from a mid-2000s video game. He feels like a mini-boss from a God of War game. Not a boss battle, a mini-boss. His entire character design is ugly and resembles a goat. He may be twelve feet tall or whatever, but he is completely unremarkable and nonthreatening. He wants to bring about the end of the world by collecting his three world-destroying MacGuffins and making them cross the streams. His back-story happens midway through the film and is shockingly a rip-off of the Cate Blanchett-narrated prologue from The Lord of the Rings. All the races of the world and beyond teamed up against this dumb dude and then they took possession of his source of power, the three boxes to rule them all, and divided them up among the different races for safety. They’re even dressed like Middle Earth fantasy characters. They foolishly split up the boxes in a way that the bad guy would know exactly where they are if he ever came back. This lame villain is also hampered with a lame back-story. I don’t understand what about this character makes him invincible in the first half and what changes to make him beatable in the second half. His powers and potential weaknesses are ill-defined, and you too will struggle to work up any interest for what may be one of the most boring and useless villains in super hero film history. According to my pal Ben Bailey, Steppenwolf makes Malakeith (Christopher Eccleston) of Thor 2 look like Loki (Tom Hiddelston) in Thor 2. 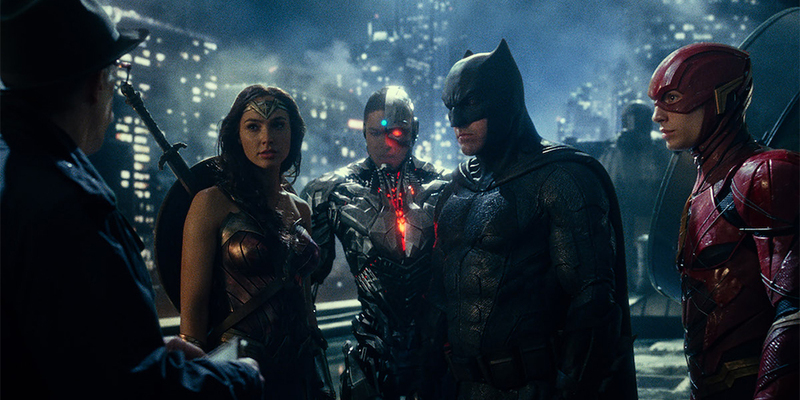 Justice League feels like two movies indelicately grafted together, and if you have a trained eye for cinematography you’ll easily be able to spot the difference between the Snyder parts and the Whedon parts (final product looks 70 percent Snyder, 30 percent Whedon). Snyder is much more the visual stylist, so his camera arrangements are far more dynamic, and his cinematography also makes more use of space within the frame, especially from the foreground and background. His scenes also have a more crisp, filmic look. By contrast, the Whedon scenes feel overly clumsy and with too much strained humor. The Whedon humor holds on a beat longer, as if it’s waiting for a canned laughter response to clear. Lois Lane (Amy Adams) remarks about how Superman smells, Martha Kent (Diane Lane) drops a malapropism about her son calling Lois the “thirstiest reporter,” Barry Allen’s inability to grasp what is brunch, which is the only thing shoehorned into the middle of Snyder footage. Then the brunch joke is brought up again in the first post-credit scene, which had me convinced that Whedon was going to produce some sort of meta moment with the Justice League final post-credit scene mirroring The Avengers, with the team out enjoying a casual meal together. Not only do I think I enjoyed the Snyder parts better, but I think I also enjoyed the humor of the Snyder parts better. The action sequences are just as unmemorable as the rest of the movie. Action sequences need variation, they need mini-goals, and they need multiple points of action. There’s a reason many film climaxes involve different pairs or groups fighting different villains. It keeps the action fresh, involves all of the characters in meaningful ways, and provides more payoffs. The action becomes more dynamic and complex and simply entertaining. The action in Justice League is thoroughly underwhelming. With the exception of Cyborg being a hacker plot device, none of the characters use their powers in integral ways. All they do is punch and jump. When that happens, the heroes are too interchangeable. They also don’t seem to do anything different in the third act nor does the climax require them to do anything different, so their victory as a team feels perfunctory and arbitrary. The special effects feel unfinished and unpolished for a $300 million movie. A sequence set on Wonder Woman’s home island looks like it was taken from a cheesy Dynasty Warriors video game. A montage during the conclusion has shockingly bad CGI of the Flash running in a goofy, gangly, leg-failing way that made me doubt Whedon’s eyesight. The most hilarious special effect, possibly of all time, is the fake Superman upper lip. It kept me analyzing every Cavill mouth I saw. His upper lip looked too waxy with shine and indented too widely. We are not there yet my friends for realistic mustache removal technology. We’ll just have to go back to old-fashioned razors and rue this primitive existence of ours. 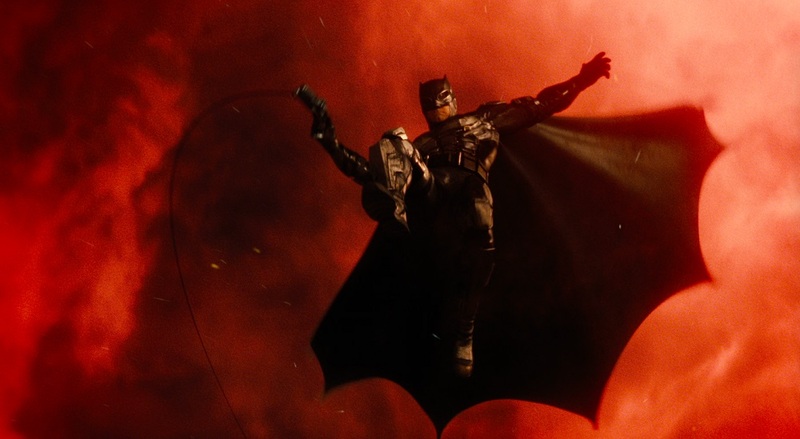 Batman v Superman and Suicide Squad have already conditioned audiences to expect the worst, and the fact that Justice League is better may make some mistakenly believe this is a good super hero adventure. It’s not. While not the spectacular failure of its predecessors, this is extraordinarily forgettable and thoroughly underwhelming from top to bottom. I think I might have actually preferred Joss Whedon not being involved and simply releasing the full Zack Snyder cut. It would have been stylistically more coherent. Much of the Whedon reshoots do not feel like they are for the better. To be fair, he came in late and this franchise behemoth had already gone too far to fully alter its fate. There are small moments that work but the big moments are what fail. This movie is missing setups, payoffs, and character arcs. It’s missing pathos and emotion. It’s missing memorable action sequences that are exciting and varied. It’s missing basic internal logic. It’s missing a greater relevance. The villain is just an obstacle to be overcome without any larger thematic relevance. I struggled to care about what was happening. Ultimately, the finished product feels like Zack Snyder’s garage sale (“Here’s all the stuff you’re used to and maybe you’re tired of but I’m not gonna put that much effort into this so maybe we can haggle”). And then Joss Whedon bought it all, repackaged it, and sold it back to you, America. As dreadful as the previous movies were they at least had moments that stood out, many of them for the wrong reasons, admittedly. Justice League isn’t as bad and yet is paradoxically less watchable.